It’s hard to believe that John F. Kennedy would have been 100 years old on May 29th, 2017. If you were alive in 1963 you likely remember exactly where you were at 12:30 pm on Friday, November 22 when you heard the news that the president had died at the hands of an assassin. JFK graduated from Harvard and went on the join the United States Naval Reserve in 1941. During WWII, he threw himself into danger to save the crew of his torpedo boat after it was rammed by a Japanese destroyer in the Pacific. Despite his own injured back, Kennedy led his crew to several miles to safety. These heroic actions earned Kennedy the Navy and Marine Corps Medal as well as a Purple Heart. He retired a full Lieutenant. After the military, he served several years in Congress in the House and Senate branches. Then in 1960, Kennedy narrowly beat Richard Nixon to become the 35th President of the United States. 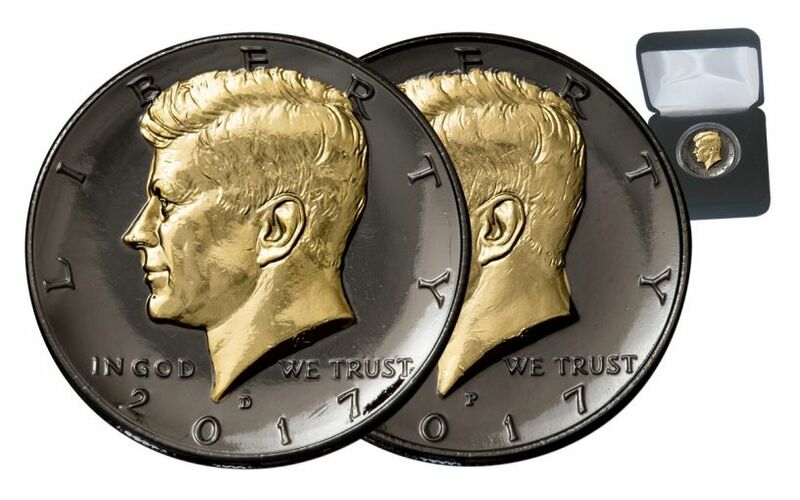 Now you can own a piece of presidential history and celebrate the 100th anniversary of John F. Kennedy’s birth with this set of two 2017 Kennedy Half-Dollars clad in Jet Black Ruthenium and 24kt. Gold. 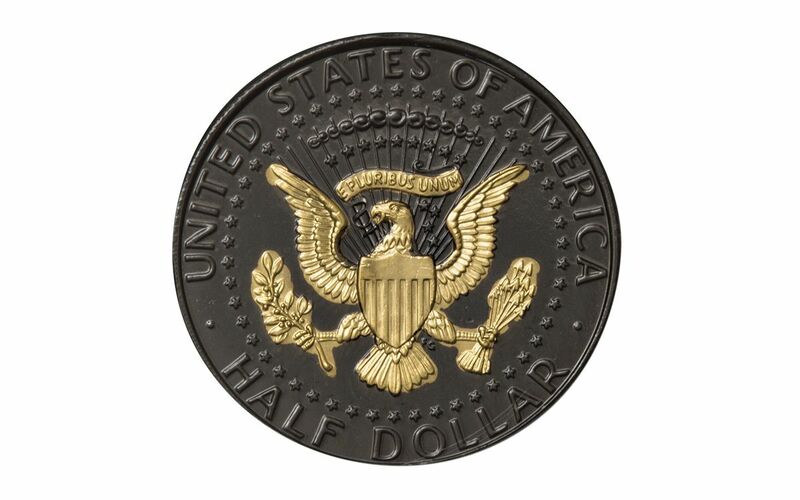 You’ll be amazed as the 24kt Gold Kennedy portrait and the Presidential Seal seems to jump off the rich black field of Ruthenium. Discovered in 1844 and considered a rare transition metal, Ruthenium belongs to the Platinum group. 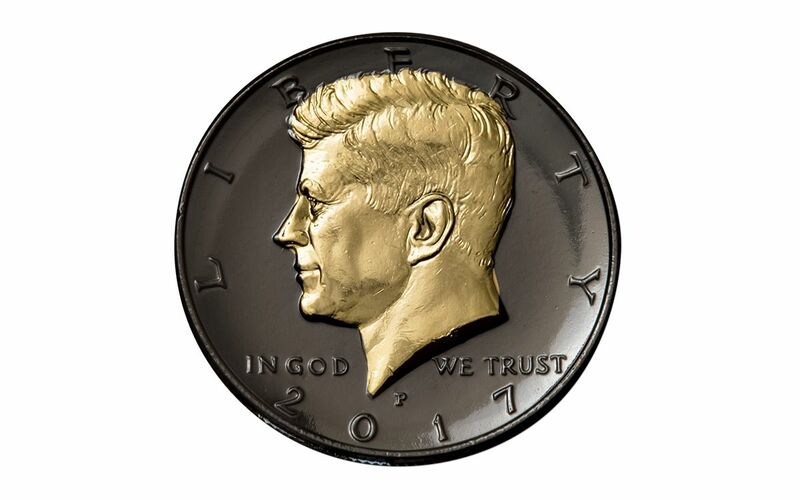 When you order this special set of 2017 Kennedy Ruthenium Half Dollars you will receive one from the Philadelphia and one from the Denver mint. 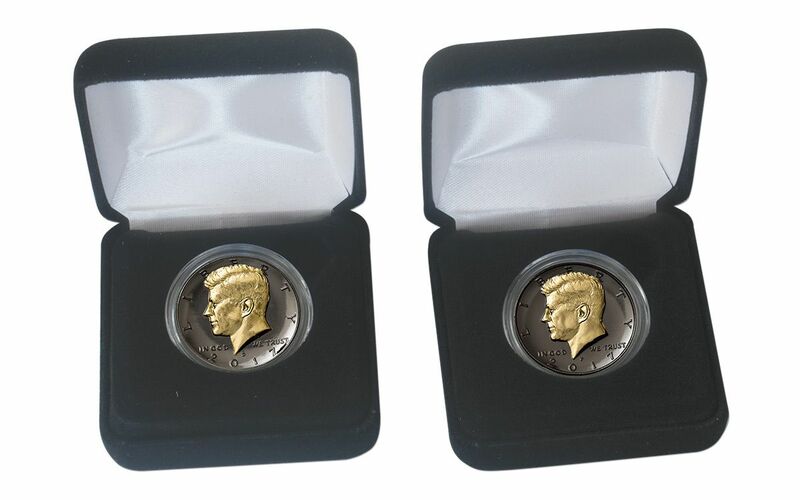 Each Brilliant Uncirculated (BU) coin is showcased in an acrylic coin capsule and nested in a black felt display case. 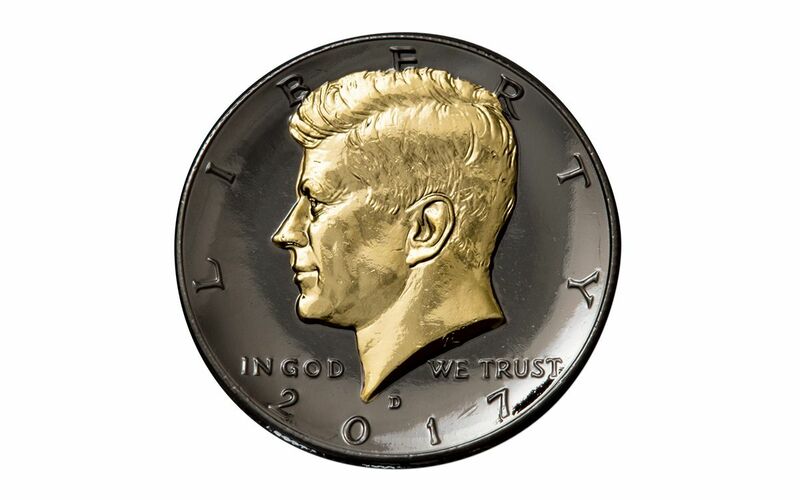 Don’t this opportunity to own not one, but two 2017 Kennedy Ruthenium Half Dollars. Show them off to friends and family and tell them the incredible story of the 35th President of the United States.